The units of Embassy Office Parks Real Estate Investment Trust (Reit) gained nearly 5 per cent during their stock market debut on Monday. Experts said the positive listing would help in opening of a new fund-raising aven­ue for the cash-str­apped real estate se­c­tor in the country. Last month, Blackstone-bac­­ked Embassy Office came out with India’s first Reit initial public offering (IPO) to raise Rs 4,750 crore. Investors were all­otted units at Rs 300 apiece in the IPO. Embassy Reit units closed at Rs 314, up 4.7 per cent over the issue price. 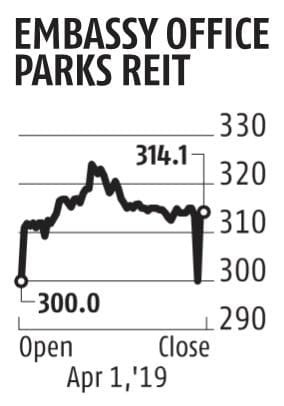 The REIT units touched a high of Rs 325 and a low of Rs 308 on the NSE, where Rs 91 crore worth of units got traded. Another Rs 9 crore worth of units changed hands at the BSE, where the Reit hit a high of Rs 325 and a low of Rs 300. “REITs are a good instrument class but not well understood. 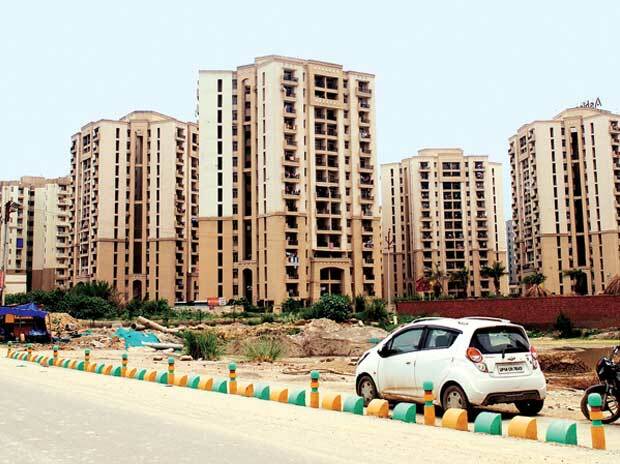 Assets in REITs with assured yields and after three years there is an increase in rentals. Therefore, there is more value and more capital appreciation” Deepak Parekh, chairman, HDFC said. “I think the timing for this REIT was right with the good int­erest rate and pricing. Two-thr­ee of our clients are in talks with us to invest in them over the next couple of quarters. I th­in­k we will see more REITs be­ing launched soon," Parekh added. Gaurav Dua, head-research, Sharekhan, expects successful IPO and listing of Reit to boost listed real estate stocks as well. “We expect a slew of Reit offerings yields to hit the market in the coming months. Ability to raise resources through monetisation of rent-yielding properties at a relatively attractive cost is a re-rating trigger for not only the Reit-issuing real estate companies but also boost investor sentiment towards the entire sector,” said Dua. The BSE Realty index, fell 0.8 per cent on Monday. In comparison, the benchmark Sensex gained 0.5 per cent. Last month, the BSE Realty index had rallied 16 per cent, two times that of Sensex. Embassy Reit owns and operates nearly 25 million square feet of commercial real estate in metros such as Bengaluru, Pune, Mumbai, and Delhi. Some of its tenants include Microsoft, JP Morgan, IBM, and Rolls-Royce.